Theater professors and couple, Nicky Abbondanza and Noah Oliver, are going overboard as usual, but this time on an Alaskan cruise, where dead college theatre professors are popping up everywhere from the swimming pool to the captain’s table. Further complicating matters are Nicky’s and Noah’s parents as surprise cruise passengers, and Nicky’s assignment to direct a murder mystery dinner theater show onboard ship. Nicky and Noah will need to use their drama skills to figure out who is bringing the curtain down on vacationing theatre professors before it is lights out for the handsome couple. 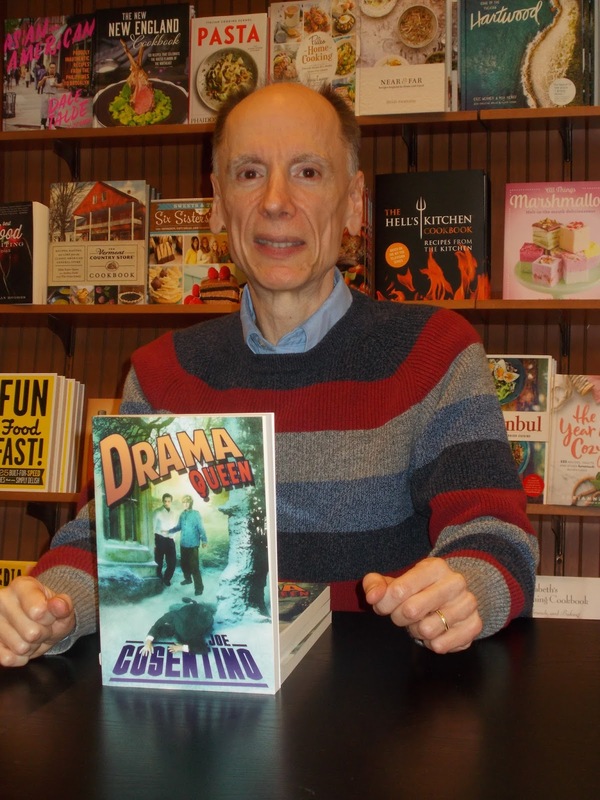 You will be applauding and shouting Bravo for Joe Cosentino’s fast-paced, side-splittingly funny, edge-of-your-seat entertaining third novel in this delightful series. Curtain up and ship ahoy! on the scene, took one look at the murdered beauty, and fell in love. and me (directing). Martin’s husband, Ruben, came along for the ride. what’s seven years? A lot when you are thirty-six and your lover is twenty-nine. pun) to my anatomical quirk. the sea of polyester, and somehow remained awake during the life boat drill. “My little virgin.” I kissed his cheek. We shared a warm kiss. 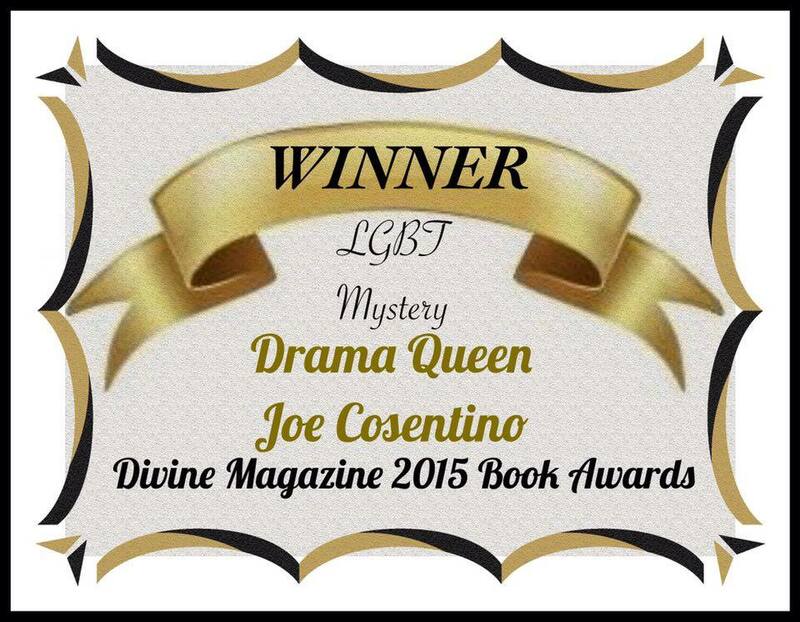 Bestselling author Joe Cosentino was voted Favorite Mystery, Humorous, and Contemporary Author of 2015 by the readers of Divine Magazine for Drama Queen. 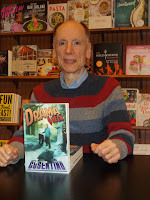 He also wrote the other novels in the Nicky and Noah mystery series: Drama Muscle and Drama Cruise (Lethe Press); In My Heart/An Infatuation & A Shooting Star, A Home for the Holidays, The Naked Prince and Other Tales from Fairyland (Dreamspinner Press); Cozzi Cove: Bouncing Back, Cozzi Cove: Moving Forward, Cozzi Cove: Stepping Out Cozzi Cove series (NineStar Press); Paper Doll, Porcelain Doll, Satin Doll, China Doll, Rag Doll (The Wild Rose Press) Jana Lane mysteries; and The Nutcracker and the Mouse King (Eldridge Plays and Musicals). He has appeared in principal acting roles in film, television, and theatre, opposite stars such as Bruce Willis, Rosie O’Donnell, Nathan Lane, Holland Taylor, and Jason Robards. Joe is currently Head of the Department/Professor at a college in upstate New York, and is happily married. 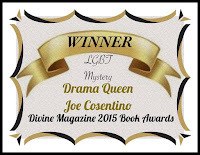 Joe was voted 2nd Place for Best MM Author of the Year in Divine Magazine’s Readers’ Choice Awards for 2015, and has won many Rainbow Award Honorable mentions including for Drama Muscle. 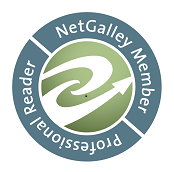 Upcoming novels are Drama Luau (fourth Nicky and Noah mystery) and Cozzi Cove: New Beginnings (fourth Cozzi Cove beach novel, NineStar Press).